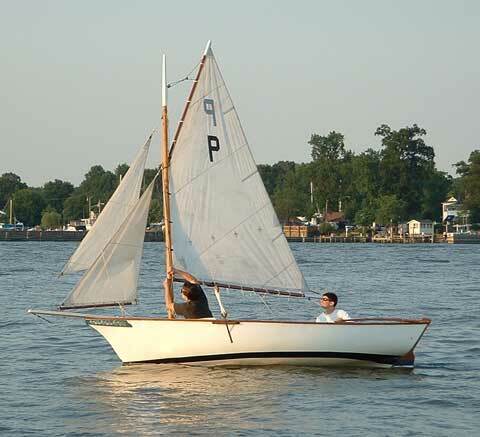 The Pepper is a Gaff-rigged cutter, 18 feet 6 inches overall, 15 feet on deck, and a waterline length of 12 feet. She carries 96 square feet of sail spread across her 3 sails. The boat has a fiberglass hull and has a full, unballasted keel. All of the spars (mast, boom, gaff and staysail club) are teak as are the cockpit cleats; deadeyes, used to adjust the shrouds, are also wood. 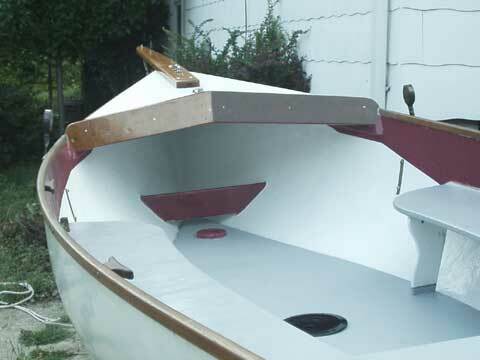 This boat was featured in the Readers Boat section of the January/February 2009 issue of Small Craft Advisor (Issue # 55). There also was a letter in the Reader Mail section of the May/June 2009 issue (# 57) about sailing his Pepper. The boat was designed by the late William E. Hitchcock (1928-2006), known for his many models and dioramas on exhibit at the Mystic Seaport Museum, South Street Seaport and the Mariners� Museum. The Pepper was built in 1977 by Salt Marine in Ft. Lauderdale Florida. She is one of only a few known copies. The boat has been restored. The bowsprit and combing have been stripped and varnished, the cockpit and cockpit sole stripped and painted. The teak trim and rub rails aft of the combing have been cleaned and oiled; those forward of the combing they have been varnished. The cockpit sole and the foredeck are nonskid paint. I have a second jib that replaces both the staysail and the jib and makes the Pepper a little easier to handle. This sale includes a trailer registered in Maryland. It is tired but sound with tires and lights in good condition. The bearings were checked and repacked at the beginning of the summer of 2009. The Pepper, bought in 2002, was dry-sailed in-season and was garage kept off-season. The boat has not been used for 4 years and has been garage kept for that time. 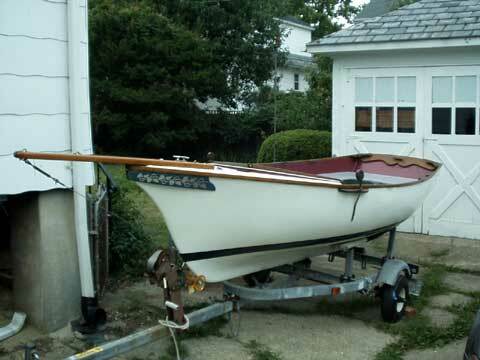 The boat has been sold and is now living on the Eastern Shore of Maryland. Thank you for all of your help.